The accessories are being used to advertise a winter sale at a Japanese clothing store, Laforet Harajuku. The designers said they had received numerous requests from people around the world who wanted to buy them. But they are not commercially available, and the designers said they had no plans to make them so at this time. 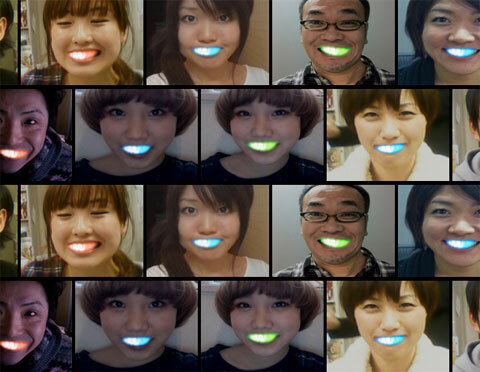 In the ad campaign, the LED smiles are affixed to the teeth of models, and glow different colors while they smile. The colors can be changed wirelessly through a computer interface. Of course they work best in the dark.